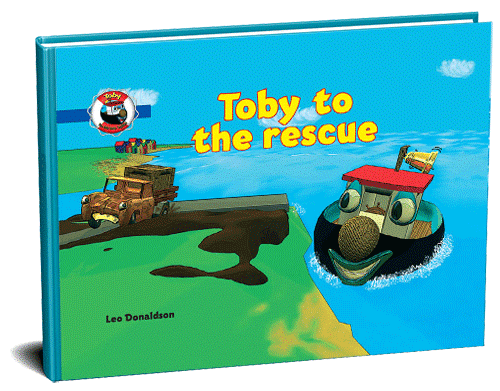 Although Toby To The Rescue is a lovely book to read online, and we are grateful that you took the time to come over here and do just that. We at Tobybooks.com believe that it is much better for anyone to experience reading a book by holding and actual hard copy on your hand. 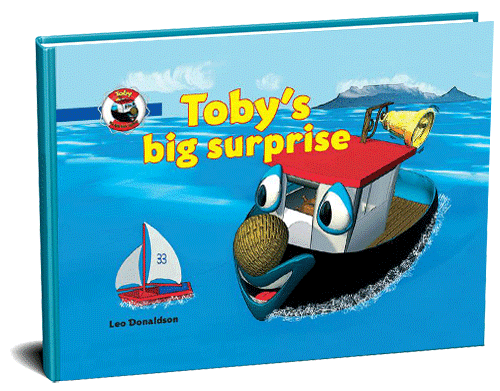 Please have a look below at this, and the other Toby books that are available for purchase right now. 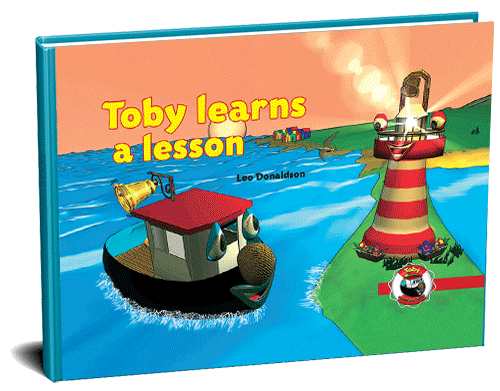 In this story, Toby learns a very important lesson. He gets a new shiny bell installed. and as he begins to show his friends, he begins to boast and say that his bell is the best ever. Toby goes on to say that he will now have more friends and that everyone will like him because of his new shiny bell. Toby finds out that, in Life, it does not work that way, and that you like someone because of who they are and not for what they have. Larry-Lorry is a very busy little delivery truck, he delivers valuable cargo from Kalk Bay Harbour to Cape Town. When he gets stuck in the mud after some heavy rain, he could stand to lose his reputation of always being on time. The one thing that Larry-Lorry is very proud of. Will he be able to be rescued in time? Will his friends realize that they will only be able to help him if they work together as a team. 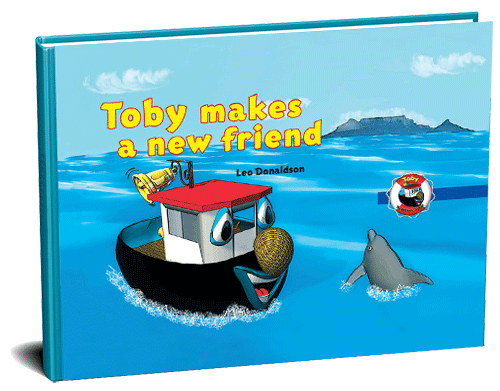 Toby, like any young child, with him being a young little Tugboat, get distracted very easily. He and Maggie were in the middle of a race – which he at first try cheated with the start – when he suddenly lost all interest in racing and stopped. Maggie soon realizes that she is racing on her own and decides to give it up and go have a look what Toby is up to. What do you’ think he found? Far out in the deep Ocean in the darkness all alone is hardly the place for a young Tugboat. But Toby realizes that this is his job, the moment that he has been waiting for, for a very long time. A call came of the radio to tell Toby that Maggie is back from her trip and that he must go and bring her safely into harbour. Will he get scared? Will he forget the good advice that Mr. Heavy the Harbour Crane gave him just before he left?